Zhongshan Xiaolan of "Ju City" reputation. Has 700 years of history. Qing Jiaqing nineteen years (1814), Year Awake, "yellow will" elders to commemorate ancestors moved from the Central Plains south Xiaolan, set 10 name "chrysanthemum club" will hold large chrysanthemum, and meet each compartment held every six years, "Awake chrysanthemum Assembly." After Dinner Qing Jia Xu Xiaolan General Assembly (1874), the Republic of China (1934), activities have Shangju, race Ju Ju Yin, painted daisy, chrysanthemum taste, water floating color, drama and so on Chrysanthemum has become a traditional event rich with local color, were full of Chinese and foreign. 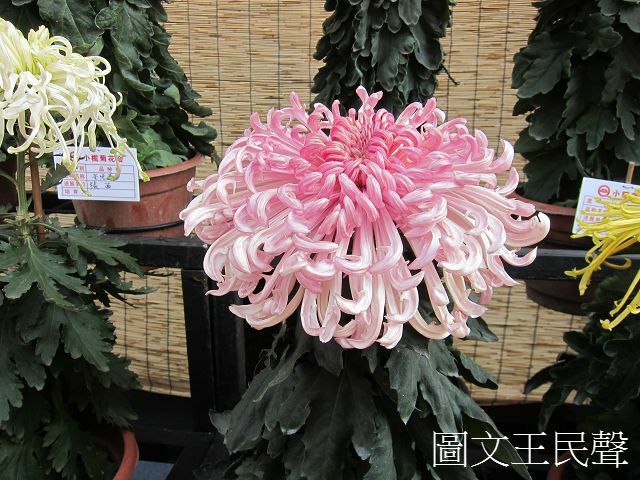 Jia Xu Xiaolan six decennial chrysanthemum Conference on Second ○○ six years in the State Council approved the inclusion of the first batch of national intangible cultural heritage. Awake the next time the General Assembly for two ○ 五 chrysanthemum four years. Medium chrysanthemum exhibition held every ten years, this year ushered in the bicentenary of Xiaolan chrysanthemum exhibition is divided into four regions flowers area, building area, pavilion area, dining area, where the introduction of chrysanthemum from Nanjing treasures, currently our green chrysanthemum varieties greenest a "Green Anna" for the debut.